A schooling initiative in Bhubaneswar doesn’t leave it to government, seeks to be the change agent. 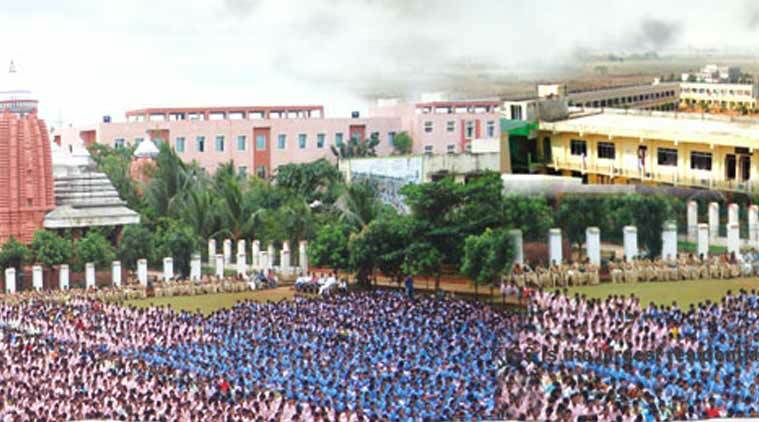 Today, there are 25,000 tribal students, from 62 poor tribal communities (13 primitive tribal groups). Most, though not all, are from Odisha. (Source: http://www.kiss.ac.in) In a fairy tale, a kiss turned a frog into a prince. Recently, I was fortunate enough to visit KISS (Kalinga Institute of Social Sciences) in Bhubaneswar. Most people have heard of KISS and Achyuta Samanta (the founder of KISS and KIIT — Kalinga Institute of Industrial Technology), or should have. While there is a KISS International School with some international students, the core is the regular KISS school and the associated KISS college for higher education. KISS was started in 1993 with 125 tribal students and some financial support from the ministry of tribal affairs. It’s seldom that I find myself sympathising with Sangh Parivar bigots, who are suspected of complicity in the murder of the Kannada scholar Malleshappa Madivallapa Kalburgi and whose growing influence in Delhi explains stupidities like renaming Aurangzeb Road. But I must confess to reading what Mohammad Hamid Ansari reportedly told the All India Muslim Majlis-e-Mushawarat recently with some misgiving. I don’t for a moment think it was at all improper for the vice-president to speak on an issue concerning 14.2 per cent of the population. We know it worried Manmohan Singh, who was anxious to do something for the betterment of Muslims after the Sachar Committee disclosed its findings on their “social, economic and educational status”. But someone who has spent a lifetime in the bureaucracy should know better than others that the “serious bottlenecks” in implementing the Sachar recommendations he also mentioned are inherent in official India and can’t be attributed to malign intention. What was most worrying were Ansari’s emotive language, invidious comparisons and absence of any awareness (or admission) that Muslims might themselves be partly responsible for some of the problems relating to “identity and security, education and empowerment, equitable share in the largesse of the state and fair share in decision-making” that they apparently face. I am reminded of a seminar where I mentioned Christian Sunday school when the question of religious instruction for children came up. All the maulvis present protested. Religion couldn’t be a weekend affair for Muslims, they said. A Muslim has to wake up every day with Allah’s name on his lips and go to bed with the same sound in his ears. If so, he must opt out of mainstream education and be handicapped for life. In his letter, Air Chief Marshal Arup Raha has asked the defence minister Manohar Parrikar to give the DACP to armed forces doctors but also similar pay scales to all other military officers. 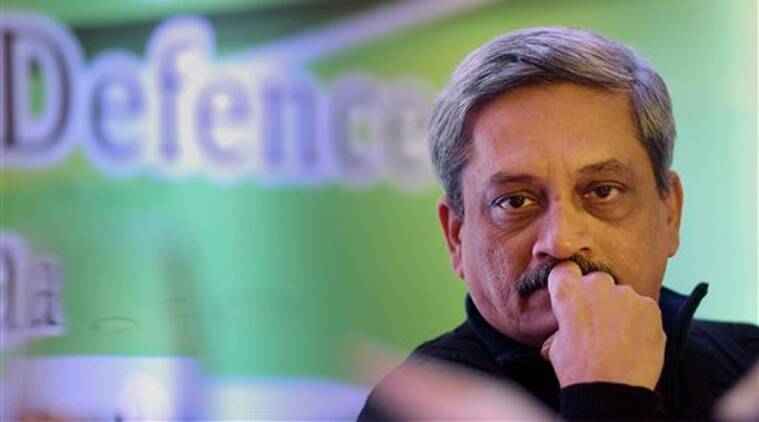 Even as the agitation over One Rank One Pension shows no sign of abating, the Chairman Chiefs of Staff Committee (COSC), Air Chief Marshal Arup Raha, has written to Defence Minister Manohar Parrikar asking that all military officers be given a Dynamic Assured Career Progression (DACP)-like scheme. 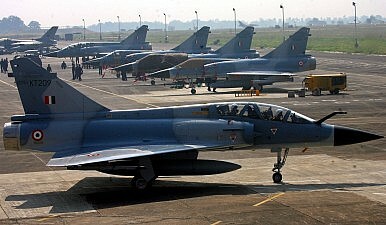 Confronted with shrinking combat aircraft capacity, the Indian Air Force appears willing to swap projected numbers on paper for actual fighters on hand. At least, that is the message being conveyed by IAF brass as they once again trim their fifth-generation fighter aircraft (FGFA) requirement. Reports in the local media indicate that the IAF has reduced the scope of its outlined FGFA procurement down to just three squadrons of fighters (roughly 18 aircraft apiece), plus a handful of extra aircraft for training purposes. This would place the total requirement at around 65 Russian-built T-50 fighter jets, far less than what was envisioned back in the middle of the previous decade when the unit figure was placed at 214 aircraft. This latest reduction also represents the second time the IAF has downsized its requirement, with the first coming in October 2012 when the service announced a reduction from 214 fighters down to 144. Once again the IAF finds itself in the midst of a major fighter procurement project that promises a lot, delivers nothing in the short term, and is subject to localized industrial work share and advanced technologies that serve to both complicate and potentially derail negotiations. The cancellation of the August 23-24 meeting of the national security advisors (NSAs) of India and Pakistan is one more indication of the inability of the two countries to talk constructively. This time, Pakistan canceled the talks, stating that the Modi government’s preconditions — not inviting the separatist Hurriyat and following the terrorism-only agenda as agreed to at Ufa — was unacceptable. The NSA meeting would have been an attempt to resume the composite bilateral dialogue, but every time such a decision is made at the prime ministerial level, the process falls apart due to unrealistic expectations on both sides. This is compounded by Pakistan’s denial of its support of terrorist activities in India. This pattern — of hope and then a block — was evident also in the efforts made by former prime ministers Atal Bihari Vajpayee after Kargil in 1999, and by Manmohan Singh after the 2008 Mumbai attacks. In a statement issued last week, Pakistan's National Security Advisor Sartaj Aziz said India shouldn't take his country for granted. Pakistan, he added grimly, has nuclear weapons. Other members of the Pakistani establishment have made similar statements in the recent past. But as Pakistan's army chief General Raheel Sharif knows perfectly well, Islamabad cannot use its nuclear stockpile - not even the small tactical battlefield nuclear weapons Pakistan is developing. The reason is simple: A retaliatory nuclear strike by India would cripple Pakistan. The Americans know this. So do the Russians and the British. And of course, so does Pakistan. Farooq Abdullah, the former chief minister of Jammu and Kashmir, had this to say about Sartaj Aziz's nuclear threat in an interview with Sagarika Ghose in The Times of India: "When a senior diplomat, a former foreign minister, talks about nuclear weapons, it's crazy. May I remind Sartaj Aziz about Hiroshima and Nagasaki? Does he want to bomb J&K? India also has a bomb. When I went to Pokhran after the tests were conducted, I remember Vajpayee's words: 'He said we aren't the ones to use this first, we have this as a deterrence, only to tell people don't take us for granted. We can defend ourselves.' I want to tell Aziz don't think of the bomb because innocents will die. Sartaj Aziz saab you too will die if the bomb falls." In August 1965, what looked like an indigenous uprising spread like a jungle fire across the part of Kashmir under Indian control. 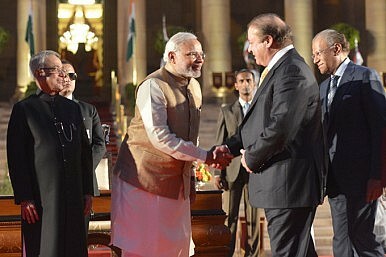 A month later, India invaded Pakistan in what Pakistanis call an "unprovoked" move. Since the war ended in stalemate, Pakistan holds a victory pageant each year on 6 September to mark the day it fended off a much bigger enemy. But was the uprising in Indian-administered Kashmir really indigenous? Qurban Ali, 71, is one of the "insurgents" who fought the Indian troops in August 1965. But he is a native of the Pakistani-administered side of Kashmir, and he was not an insurgent, but a soldier of the Pakistani army's Azad Kashmir (AK) Regiment. "I was a fresh recruit then, barely 20 years old. I had completed the regimental training, and then we volunteered for the Gibraltar Force," he says. India’s presence in Chabahar will offset the Chinese presence in the Pakistani port of Gwadar. On September 3, Russian Vladimir Putin sat just to the right of Chinese President Xi Jinping during China’s military parade to commemorate the 70th anniversary of the end of World War II. 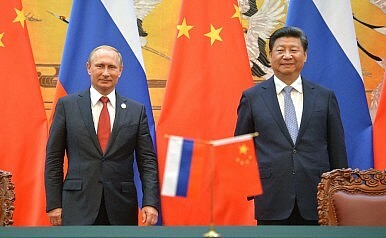 It was one more indication of the warmth of China-Russian ties, even amid growing isolation from the West. In May, Xi had a similar position of honor at the Moscow Victory Day parade, while leaders from the other World War II powers (the United States, UK, France, Germany, and Japan) avoided both events. During a bilateral meeting held after the parade, Xi and Putin stressed their commitment to strengthening the China-Russia relationship even further. Xi and Putin spoke of increased coordination on international and regional issues, with an eye toward safeguarding the post-war world order. Bilaterally, the two leaders focused on finance and investment and the energy sector as areas for continued cooperation. 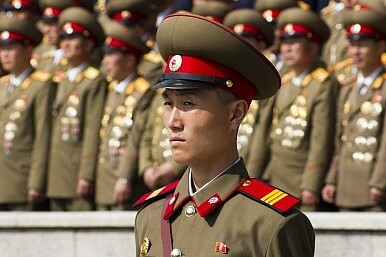 North Korea is about as isolated diplomatically as it ever has been. After declining an invitation to China’s celebrations of the 70th anniversary of the end of World War II, North Korean leader Kim Jong-un reasserted his refusal to make his first out-of-country visit as head of state because Xi Jinping refused to sit next to Kim on the reviewing stand. According to the September 1 edition of KGS’s NightWatch, “North Korea insisted their Supreme Leader receive the highest honors as a guest” and be placed on Xi’s right hand side. 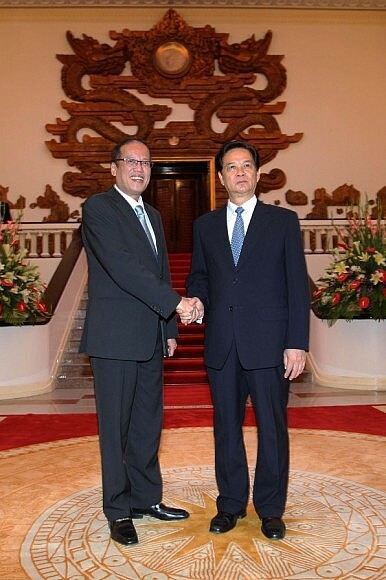 When informed by the Chinese that he would be placed at the end of the reviewing stand, Kim canceled. In an attempt to snub China back, North Korea sent Choe Ryong-hae, secretary for the Korean Workers’ Party and chairman of the State of Physical Culture and Sports Commission, in Kim’s place. Can India make China sweat? The government of India may not have sent a “thank you” card to the relevant committee at Morgan Stanley Capital International (MSCI) for its decision not to include China A-share indices in their benchmarks in May this year. Had it done so, international investors who use MSCI indices as benchmarks would have been forced to raise their allocation to China shares in the domestic market. They would have done so at the expense of their allocation to other emerging markets, including that of India. That did not happen and Indian stocks regained their footing after that decision, recent volatility notwithstanding. Subsequent actions by the Chinese government have vindicated MSCI. 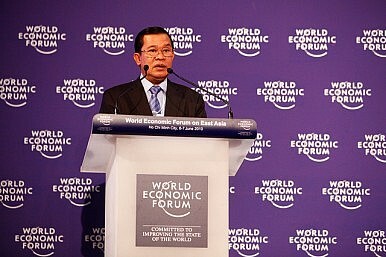 It is not clear if the International Monetary Fund (IMF) and its governing board will be as clear-headed. BEIJING — President Xi Jinping of China announced on Thursday that he would reduce the country’s military personnel by 300,000, using a parade marking 70 years since the end of World War II to present the People’s Liberation Army as a force for peace and regional stability. The Chinese military has more than two million members, and Mr. Xi has embarked on an accelerated modernization of the armed forces, which would shift spending from the traditional land forces to more advanced sea and air forces, which require fewer but better trained personnel. Speaking on a platform overlooking Tiananmen Square, he described the cut as a gesture of peace — at a time when China’s neighbors have grown increasingly worried about its territorial claims and military strength. Summary⎙ Print The precarious security situation in the Ain al-Hilweh Palestinian refugee camp in Lebanon has been reignited by recent clashes between the Fatah movement and Islamist militants inside the camp. While Thailand’s police claim success in apprehending and identifying foreign suspects in the country’s deadliest-ever bomb attack, national intelligence agencies are pursuing local actors as the likely masterminds behind the crime. Rather than an act of ideologically-driven international terrorism, as portrayed by security analysts and echoed in media reports, the lethal explosion was more likely an act of local commission, motivated by rising tensions between rival political and security force factions jockeying for position ahead of a high-stakes royal succession. Foreign envoys, top government advisers, former high-ranking officials, and private investigators who spoke toThe Diplomat on condition of anonymity all point toward probable rogue security force involvement in the sophisticated yet locally attuned August 17 blast. 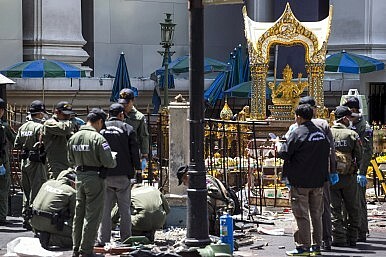 The pipe bomb killed 20 and injured over 125 at Bangkok’s Erawan religious shrine. Hidden by multiple layers of deniability, official obfuscation, and patchy police work, the local masterminds likely acted in coordination with foreign criminals with prior links to wayward security officials to execute the politically sensitive attack, the same sources said. 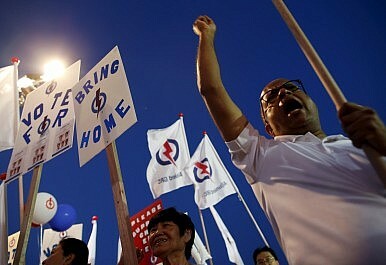 Next Friday, September 11, Singapore goes to the polls. Many are of the opinion that this election will be a barometer of the post-LKY era. There is also every reason to think that these will be watershed elections for Singapore, and that the opposition is set to win more seats than the last general elections in 2011. The ruling People’s Action Party (PAP) is no doubt hoping for a “LKY vote.” Singapore’s founding father Lee Kuan Yew died in March this year and there were massive crowds at his funeral. The PAP is hoping the massive outpouring of grief will translate into votes – basically the last endorsement of LKY’s Singapore Model. There are several reasons to think this will not work. Although there is little doubt that PAP will win government, there is also every reason to think that its share of the popular vote will go down and the opposition will gain additional seats. 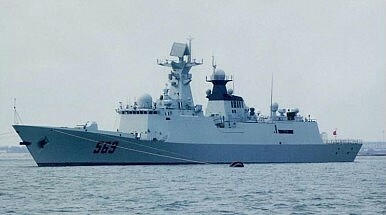 Russian military technology has significantly contributed to the development of the People’s Liberation Army Navy’s (PLAN) surface warfare capabilities – including long-range precision strike – and has made Chinese naval vessels increasingly capable of defending themselves against U.S. air strikes and long-range missile attacks, according to a new report published by the Washington-based Center for Strategic and International Studies (CSIS). While the report treads no new ground with this assertion, it nevertheless provides a good overview of Sino-Russian arms and technology transfers to prop up the PLAN’s surface fleet and expand its burgeoning anti-access capability in the Western Pacific. In that respect, Russian air defense technology, long-range sensors, and anti-ship cruise missile (ASCM) systems have played a crucial role. Who Actually Decisively Defeated Imperial Japan? Earlier today (03 September 2015), China celebrated the 70th anniversary of the victory over Imperial Japan, with an impressive military parade. Russian President Putin, together with about 30 foreign leaders, attended the event. This was actually the first time that China commemorated the WWII victory in such a high-profile event. So there were obviously political reasons, such as its territory dispute with Japan over Diaoyudao (aka Senkaku Islands) and its newly strengthened alliance with Russia (Russia stages WW2 victory parade). But politics aside, let me ask a basic question: who actually decisively defeated Imperial Japan? 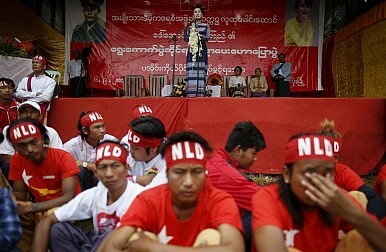 As Myanmar gears up for historic elections, Aung San Suu Kyi’s opposition party has recruited one of the country’s best-known activists. Ma Thandar has gained prominence nationwide fighting for justice after her husband, a journalist and former bodyguard of Suu Kyi’s, was killed last year while in military custody. In her dark wooden house hidden away in a small back alley in Yangon, Ma Thandar cherishes the photos of her husband with Aung San Suu Kyi from when he was her bodyguard. “Daw Aung Aan Suu Kyi consoled me a lot about the death of Ko Par Gyi, she sent me a letter and talked to me when she was in my hometown last year,” Ma Thandar said, referring to her husband by his alias. The shooting of her husband, and the subsequent acquittal of soldiers accused of being involved, created a rift with the United States and left many questioning the legitimacy of political and economic reforms initiated by the military after 50 years in power. 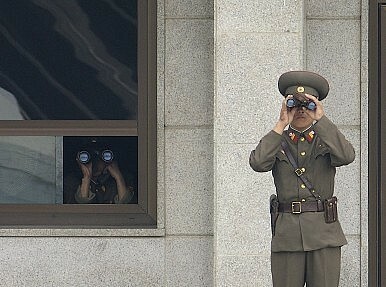 During the recent August crisis on the Korean Peninsula, a North Korean surveillance drone crossed the demilitarized zone (DMZ) and flew several times over a South Korean military outpost without being intercepted, the Republic of Korea (ROK) Armed Forces Joint Chiefs of Staff (JCS) revealed, according toYonhap News. The flights, above a military compound and along the central part of the four-kilometer-wide DMZ, took place from August 22 to 24. South Korean radar detected the first flight on August 22 at 11: 59 am and another flight at 6 pm “30 minutes before high-level talks began on Saturday at the truce village of Panmunjom,” UPI reports. An unknown number of flights occurred on the following two days. The JCS said that the incursion was detected by the South Korean military on its low-altitude surveillance radar as well as on another surveillance system, and that attempts were made to intercept the UAV. When Senators return to Washington, DC this fall, they will take up work on legislation to make it easier for companies to share cybersecurity information with each other and with the government. The future of the bill, the Cybersecurity Information Sharing Act, is uncertain. Beset with concerns over privacy and civil liberties, many past attempts at addressing this issue have failed to reach the President’s desk. Senators will have to wade through twenty-one amendments offered by both Republican and Democratic colleagues and then try and get it through the House. Unfortunately, if they succeed, neither the bill in its current form nor any of the amendments will do much to increase the effectiveness or timeliness of cybersecurity information sharing. One of the bill’s primary objectives is to ensure that companies aren’t liable for sharing cybersecurity information with government. But liability is not the problem it was once thought to be. Companies exchange millions of pieces of cybersecurity information each day. Non-profit groups like the Financial Services Information Sharing and Analysis Center, the Center for Internet Security, and the Cyber Threat Alliance have coalesced whole industries to share data. Private companies like ThreatConnect, TruStar, and AlienVault provide information sharing services to their clients. Prashant Kulkarni teaches economics, a digital economy and globalization at a leading B-School. His area of interest lies in dissecting resource contestations and human behavior at the intersections of digitization, urbanization and globalization. High profile failures like Apple Maps, Google Glass, Pets.com, Windows Vista, Apple Watch, GeoCities, and Google Plus, etc. are not unusual. On the other hand, success stories like Android, YouTube, Whatsapp!, Instagram seem outcomes of acquisitions than internal development. Inquisitiveness leads us to explore probable causes of digital product failure. If for Henry Chesbrough, failure to escape the clutches of traditional innovation paradigm is the cause, Geoffrey Moore attributes it to the inability to cross the ‘chasm’ implying failure to bridge the gap between early adopters and its diffusion with masses. The late 1990s saw the rise of ‘dotcom’ firms. It seemed prefix ‘e’ propelled firms into the club of high valuations. Nonetheless, very few succeeded. The reason quite often is neither inability in understanding business nor the viability of business models. They simply were ahead of times. Pets.com, an online retailer for pet food, found that consumers were not ready to purchase pet food online. The firms bet on certain changes in consumer behavior but erred in gauging the rate of change of preference formation. Firms like Geocities, Pets.com, and Boo.com, etc. too experienced similar results. With government officials and executives in the U.S. reeling from sophisticated hacks traced to China and other state-backed entities, American spies and soldiers are sharpening the ongoing debate over if – and when – an online action, like the hack of the U.S. Office of Personnel Management (OPM), should trigger a “kinetic” response – a euphemism for military actions ranging from drone strikes and commando raids to all-out war. It's a question that also vexes foreign policy think tanks and former intelligence specialists now in the private sector. 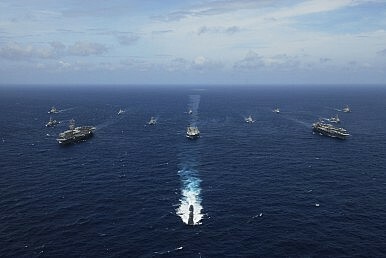 In a debate that parallels the policy tussles taking place at the White House, the Department of Defense and U.S. intelligence agencies, outside experts are squaring off over the very definition ofcyberarmies and cyberwar – and, if and when an unambiguous cyberattack takes place, what the response should be. Where one stands on the issue depends in part on experience and perspective. In a series of interviews with SC Magazine, former intelligence officials and military veterans debated whether the OPM breach and spectacular private-sector hacks, like that of Sony (which the U.S. attributed to North Korea), are old-school spying or the early volleys of virtual warfare. EVRY MONTH, it seems, a mammoth cyberattack sponsored by a nation-state comes to light. In recent years, more than 20 countries have announced their intent to launch or beef up their offensive cyber capabilities. The result is a burgeoning digital arms race that presents a major threat to the security of our data. Here’s a look at the countries that have garnered the most headlines in the past few years and a comparison of how their cyber-offensive capabilities stack up. Our assessment is, of course, based only on known attacks. And attribution is often tricky. 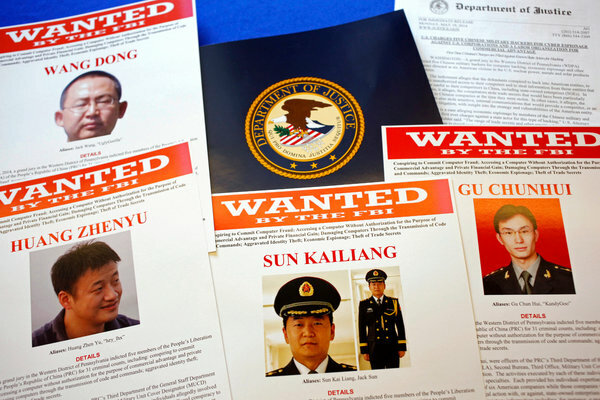 It’s difficult, forensically, to distinguish nation-state attacks from those of independent groups—even more so when China and Russia use state hackers and also pay freelancers when they gain access to useful systems. Amid the intrigue and mystery, one thing is clear—the online world is becoming an increasingly dangerous place. The United States may still be the world's preeminent superpower, based on size and reach of military and intelligence operations, but defending the virtual borders of cyberspace is another matter.Cyberattacks by foreign nations and their agents are on the rise, and this new form of conflict doesn't fit easily into the existing paradigms of how to wage, or win, a global war. The budget to support the U.S. government's cybersecurity efforts is$14 billion for fiscal 2016, about 10 percent more than the $12.5 billion the government budgeted for 2015. Despite this increased spending, the U.S. is still vulnerable to attack. There are only 13 such servers, of which 10 are in US. These servers translate readable host names into IP addresses, which is how a user gets to right portal link. 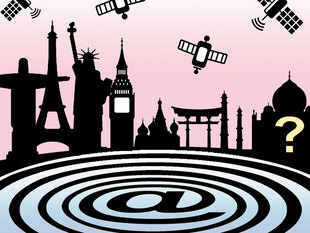 NEW DELHI: India has made a bid to be a major player in global Internet governance — by making a pitch with the US to locate a 'root server' in India. There are only 13 such servers, of which 10 are in the US, two in Europe and one in Japan. The US, Indian officials told ET on the condition of anonymity, is favourably disposed to the idea. A root name server, as it's technically known, is at the base of the Internet. These servers translate readable host names into IP addresses, which is how a user gets to the right portal link. I write about leadership, corporate culture and how to change it. Successful leaders know that there are people at every level of their organization with great ideas. The challenge is how to find them. I think Lt. Gen. Robert Brown of the U.S. Army may have figured it out. Back in 2004, when Brown was a colonel leading a Stryker brigade in northern Iraq, his unit was one of the first to be issued its very own RQ-7 Shadow unmanned aerial vehicle. He was thrilled. Having a reconnaissance drone on call 24/7 was a boon for Brown and his brigade —when they could see what it saw. But that was often not possible. John Boyd’s OODA loop teaches troops how to make the right decision with little time and scant info. In the military, though, decisions must be made both quickly and correctly. In combat, time and information are fleeting commodities, and waiting for more information to make a decision can have disastrous results. Combat is a time-competitive environment, and every decision is made against an enemy who is doing his best to beat, and kill, you. John Boyd, an Air Force fighter pilot and later an innovative and impactful theoretician, spent his life studying, refining, and theorizing how to make the best decision. His conceptual decision-making model has proven tremendously effective in not just studying how decisions are made, but also to prepare people to make the best decisions.